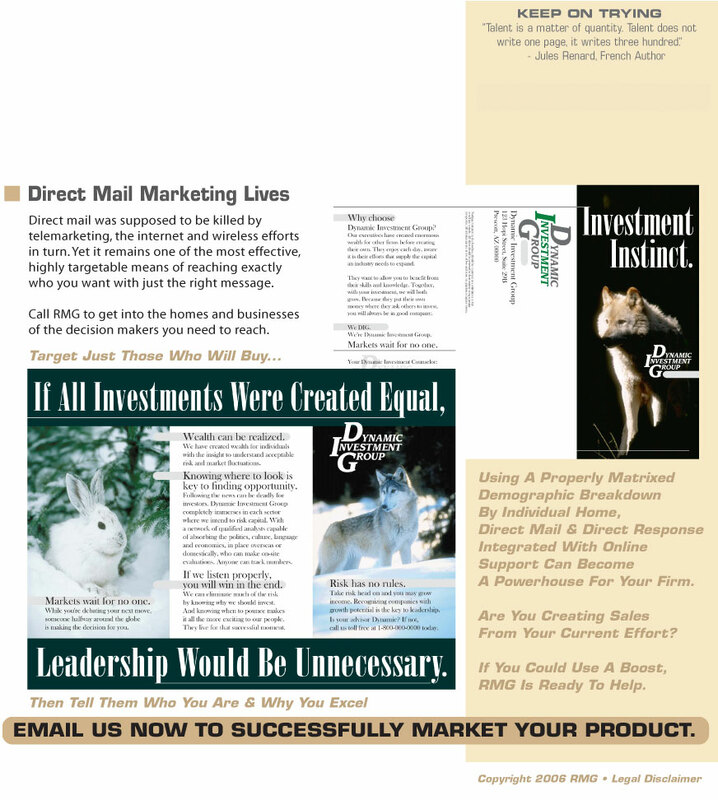 Targeted mailing inside your geographic sales zone can dramatically increase your sales. We hear this all the time. Then someone tries to send out a generic piece with no target intended, to be all things to all people. Worse, they blanket areas intended to be targeted. This misses the point entirely. Target marketing can work well, especially through direct mail, when you know who you want to reach and exactly what you want to say to them.